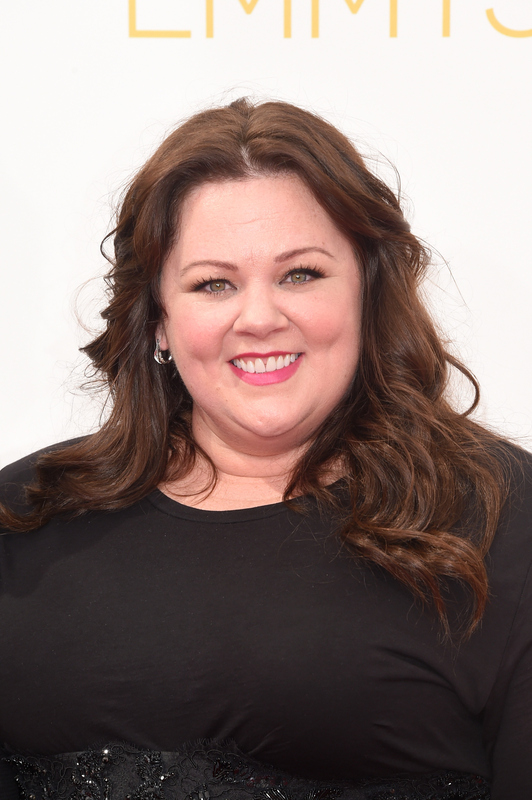 Looks like all the red carpet drama that was surrounding Melissa McCarthy is officially a thing of the past. After a recent set of scandalous "he said she said" rumors revolving around whether designers refused to dress McCarthy or if she was just impossible to please, the actress is back in fashion action. At the 2014 Emmys, Melissa McCarthy wore a custom Marchesa black gown. Nominated for two Emmys (Outstanding Lead Actress In A Comedy Series for Mike & Molly and Guest Actress In A Comedy Series for SNL), the funny lady stunned in a custom Marchesa gown. Sure, it's a tiny bit prom-y. And yes, OK, it wasn't the sexiest dress on the red carpet. But the shape is pretty flattering, and I love all the sparkle at the waistband. Plus, as a New Yorker, I can always get down with wearing black from head to toe. Pretty soon, though, she might not have to worry about who will dress her for big events. Recently, McCarthy announced she'll be designing a plus-sized line called Pearl. Before she was an actress, she studied fashion design at FIT in NYC, so she'll likely be more involved in the collection than your average celeb.